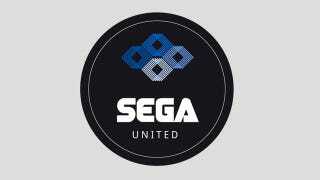 Sega is an old brand. There's heritage in that, but also baggage. So French design firm SYN decided to take a swing at sprucing the company's image up a little! While this is a purely fan-driven project - think of it was arty fan fiction - it's still interesting to see the ways a company that in many ways is still (brand-wise at least) stuck in the 90s could make itself more contemporary. The thinking behind the "United" thing stems from the fact Sega, like many other Japanese publishers, does a lot more than just publish video games for home consoles and handhelds. This is the second time this month we've seen Frenchmen try and redesign Sega; check out Elie Ahovi's ideas for a new Dreamcast we posted a few weeks ago.